Seann Walsh headlines stellar line-up! KERRY HERBERT AND ZOE LYONS DO THE RAFFLE – No. 11! YURIKO KOTANI – 2015 Winner of the BBC Radio 2 New Comedy Award, Brighton Festival Squawkers Award and now nominated for the Leicester Mercury New Comedian of the Year 2016! JAMES ELLIS – a Brighton-based brand new act. Proceeds to Brighton and Hove Impetus, a charity that links local volunteers with the vulnerable or lonely. Charity Chuckle – 7 years, 100 shows, £20,000 for the community. Excitement mounts in Brighton as the Christmas silly season comes to town! We’re excited about the next two Chuckle Chuckles. We think they are going to be the best, funniest, most spectacular vernacular nights out in Brighton. And Charity Chuckle has won an award (the Natwest Venus Awards Brighton & Sussex) so it must be true! Whether you love comedy, you’re com-curious or you just fancy doing something different – a bit of a laugh – do book now and make sure you’ve got your tickets! A week from now (Tues 11th Nov) you’ll get the chance to see SPENCER JONES headlining Charity Chuckle in the Komedia Studio. He’s amazing, hilarious, very very funny. Is it his first time in Brighton? It can’t be – let us know. 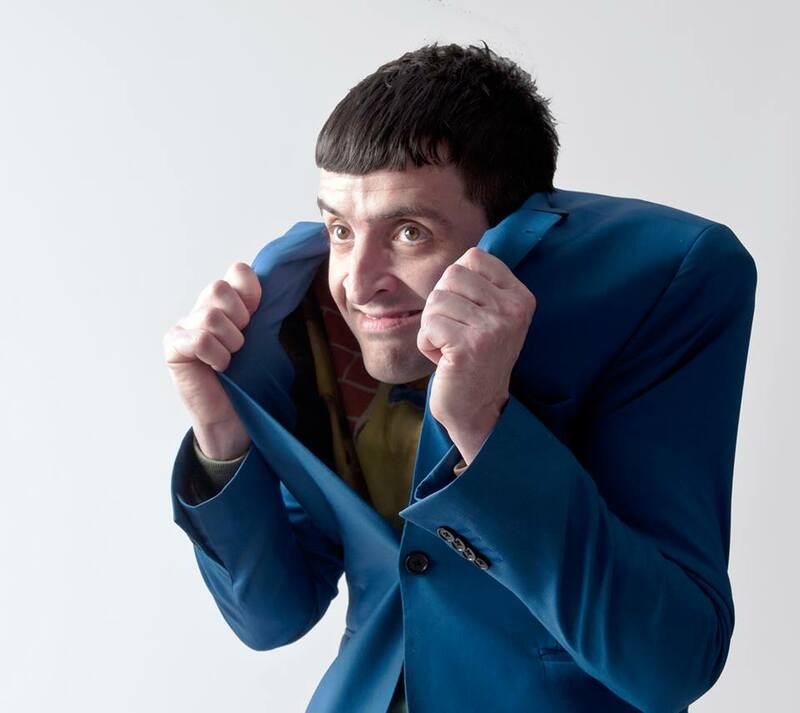 We saw his show in Edinburgh, Spencer Jones is The Herbert, and it cracked us up! Soooo silly. Like John Shuttleworth without the songs, like John Kearns without the monk, like Brian Gittins. He’s a must-see, and the rest of the line-up is fantastic too. For our big Christmas show on the 9th December we’ve got PAPPY’S headlining. Yes, PAPPY’S! Brilliant! And with all the added sparkle of a bottle of P-Diddy’s Kristal, we are thrilled to have successfully begged the gorgeous and dangerous MISS BEHAVE to compere. That’s the best sleeper train to Edinburgh with no conditioning in a heatwave we’ve ever got! Her onesie was FAB-U-LOUS! And ZOE LYONS! And award-winning newer comedians KATE LUCAS (Leicester Comedian of the Year 2014) and SOFIE HAGEN (Chortle Best Newcomer). Plus surprises, and prizes and probably even a meat raffle (the butcher, he say yes!) – HOO-HA! This comedy benefit is part of the annual campaign, 16 Days of Action to End Violence Against Women, and money raised will be shared between domestic violence charity, RISE, and a sexual violence support service, Survivors Network, both based in Brighton & Sussex. Tues 9th Dec, 8pm, Komedia Main Room: CLICK HERE AND PUT THE SNAP BACK INTO YOUR CHRISTMAS PARTY! 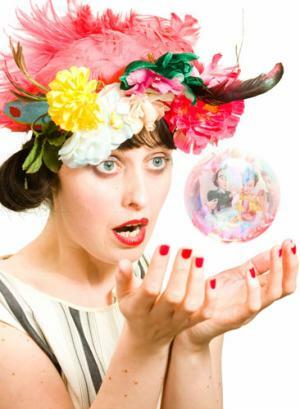 Compere: JO NEARY ‘Hilarious off-kilter talent’ Sunday Telegraph. A brilliant character comedian – she was in Ideal with Johnny Vegas and Miranda with Miranda, and oh, loads of stuff. She loves dressing up. Charity: Gladrags, the local charity bringing over 5000 affordable costumes to community groups, schools and colleges.